Italian - Very good thanks, and you? We just learned to say How are you? in Italian, Come va? and Very good thanks is Molto bene, grazie. Mario: Molto bene, grazie. E tu? Luigi: Molto bene, grazie. Arrivederci! Sehr gut, danke. Und Sie? Remember we learned about the equator that goes around the middle of earth, and splits up into the north and south parts, called hemispheres. When a tornado is in the northern hemisphere, it almost always is spinning in a counter-clockwise direction. Counter clockwise is the opposite of the direction a clock's hands usually go. Tornadoes in the southern hemisphere almost always spin in the clockwise direction. Just like the curly coated retriever had curly hair, there is a dog called the Flat Coated Retriever that has flat non-curly hair. This is another type of dog used a lot for hunting, with strong jaws and a long mouth for carrying birds and other animals that it is returning for hunters. 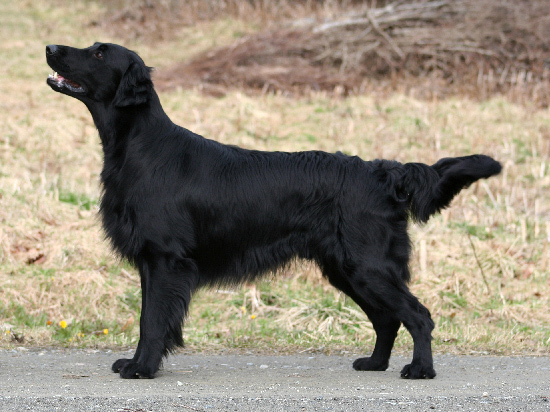 The flat coated retriever looks a lot like the labrador retriever, but there are a few small differences like the flat coated retriever has longer hair and a thicker chest. We've talked about all the oceans in the world, let's learn about some lakes! It is in Asia, and borders with the countries of Azerbaijan, Iran, Kazakhstan, Russia and Turkmenistan. The saltwater Caspian Sea sometimes called a sea instead of a lake, because at the bottom of the lake the water actually connects underground and goes out to the ocean. Lakes are usually not connected to any other large bodies of water like oceans, except by rivers. If a large body of water is connected right to an ocean it is usually called a sea. Whether the Caspian Sea is a sea or a lake, it is a really huge place! It has more than 3 times the water than all of the Great Lakes in the US combined. We just learned about Paul's second letter to his friend Timothy. 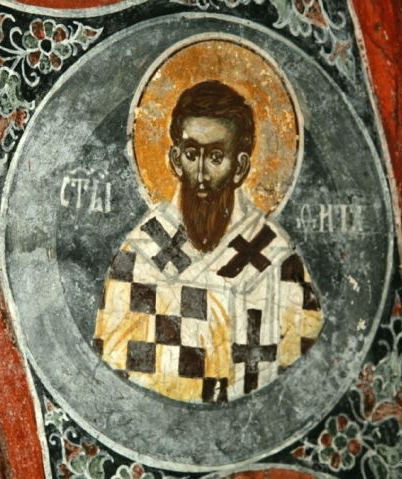 Another letter Paul wrote was to his friend Titus, who was living on an island called Crete that is part of the country of Greece. Titus was helping Paul to tell other people about Jesus and teach them how to be good people. 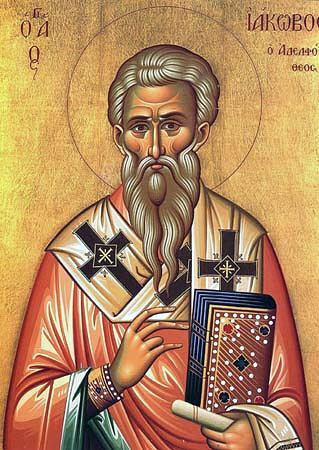 Paul's letter gave Titus some more instructions about things he should to to help people. We just learned about the painting Elegant Ball, Dance in the Country by Marie Laurencin. Another famous work of art is the painting Dynamism of a Dog on a Leash by Italian artist Giacomo Balla in 1912. This artist was famous for helping come up with the kind of art known as Futurism. During the time of his paintings, there were many great inventions like the car and the airplane, and people really liked new fast and exciting things. In Futurist paintings, the artists tried to make it look like things were moving fast. Italian - How are you? We just learned some greetings in Italian, like ciao, arrivederci and Boungiorno. In German: Wie geht es Ihnen? We just learned about the type of tornado the Waterspout Tornado. Another type of weather is called a snownado. It is also known as a winter waterspout, snow devil, icespout, ice devil, or snowspout. These are tornadoes that happen over water like a waterspout, but they happen in the winter when it is cold enough out for snow. Only a few pictures of these snownadoes have ever been taken. We just learned about the type of dog the Labrador Retriever. 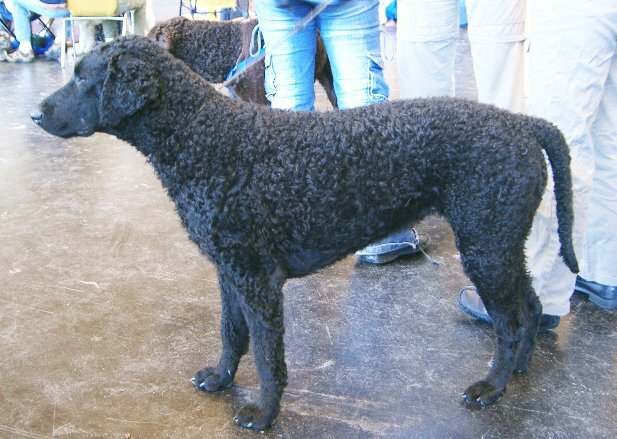 Another type of dog is the Curly Coated Retriever. Just like you'd think from the name, this dog has a curly coat. The curly coat keeps the dog warm in water, and also keeps poky plants like burrs from getting to their skin and scratching them. Just like all other retrievers they are good dogs for hunting and going to get the prey and bring it back. We just learned about the median cubital vein in your elbow. 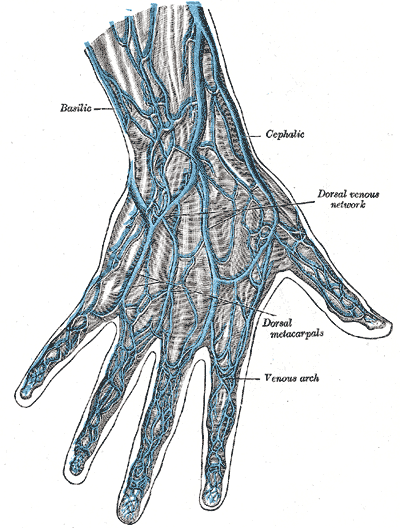 The veins below that are the radial and ulnar veins that bring deoxygenated blood from your wrist and forearm, back toward your heart. The radial vein is the vein in your wrist by your thumb where doctors will sometimes feel your pulse. We just learned about the US territory of Puerto Rico. Another US territory is the US Virgin Islands, which is in the Atlantic Ocean to the south east of Florida. There are three main islands, and about 50 other very small islands. 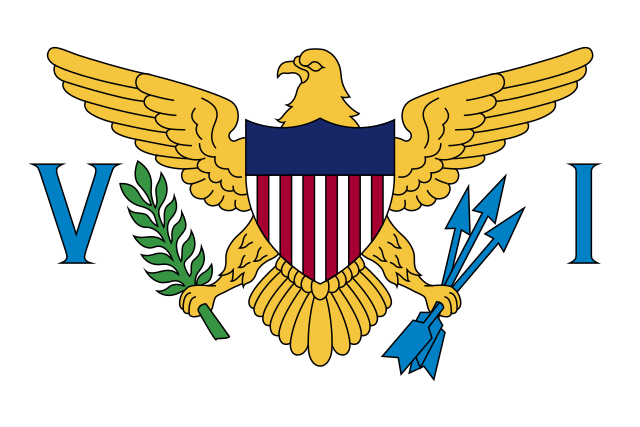 The flag of the US Virgin Islands is white with an eagle between the letters V and I. In one talon the eagle holds an olive branch, and in the other it holds three arrows for the three major islands of Saint Thomas, Saint John, and Saint Croix. There is an old fort on one of the islands named Fort Willoughby that is over 200 years old. Trunk Bay on the island of St. John has a white sand beach and snorkeling. Across the US are 10 very large satellite dishes, over 10 feet tall each. They make up something called the Very Long Baseline Array, that can be used to look into outer space. One of them is on the island of St. Croix in the US Virgin Islands. We just learned about Paul's First Letter to Timothy. He wrote a second letter to his friend Timothy, telling him to stay strong and to keep working hard. Some famous words from this letter are If we have died with him, we will also live with him;.